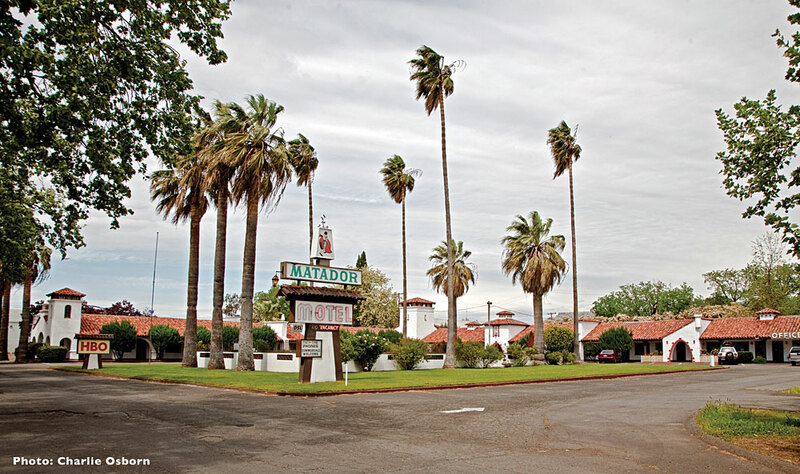 Los Angeles has Watts Towers and Chico has The Matador as manifestations of personal dreams. The Glumac fulfilled the classic immigrant dream of achieving success in America through hard work—she as a seamstress and he as a steel worker. In 1943, the couple travelled to Chico to buy an almond orchard. Instead, they fell in love with the Washington Auto Court, added a loan to their savings, and bought the entire block on The Esplanade between 9th and 10th Avenue for $9,000. Yet, the court’s wooden cabins did not live up to their memories of the tile roofed houses of Yugoslavia. 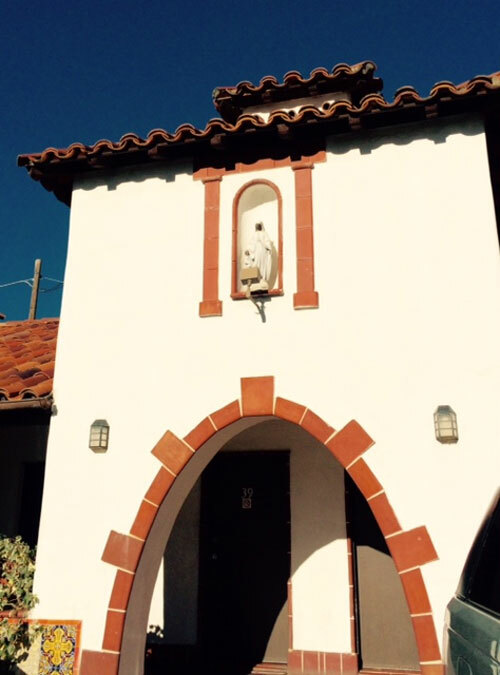 In the late l940s, Nicholas Glumac discovered nearby inspiration in Mission Revival buildings of Marysville and Yuba City. Though he’d only graduated from 8th grade he succeeded in drawing plans for The Matador and getting them approved in Sacramento. After local builders completed The Matador’s main block, Glumac made many trips to Lincoln in his l937 Hudson to pick up tiles at Gladding, McBean, the renowned supplier for many San Francisco buildings. 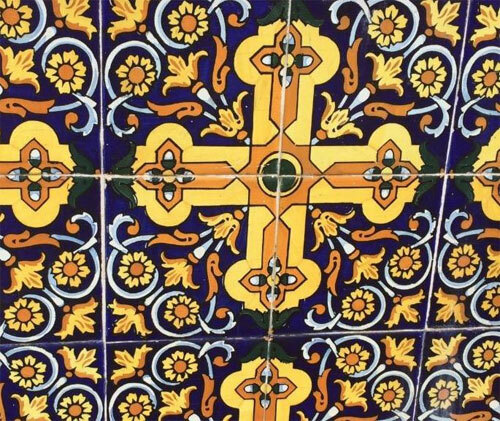 The whole Glumac family, including their three daughters, Maria, Merelen, and Nira (named after FDR’s National Industrial Recovery Act of l933), worked late into the night to set the exterior and interior tiles. The family added palms and the swimming pool in the l950s to complete their vision of paradise. A visit to Art at The Matador is bound to nourish dreams of your own.